Blogger and Instagram star known for posting a variety of beauty, fashion, and cosmetic tutorials to her website andziathere.com. She also shares a variety of beauty products and additional modeling shots to her over 140,000 Instagram followers. She first began sharing pictures to her Instagram in January of 2015. 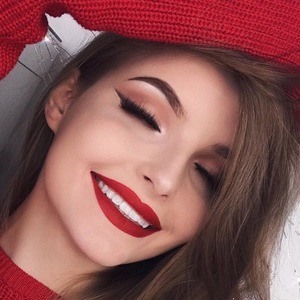 In addition to her blog and Instagram, she is also known for posting tutorial videos to YouTube as well where she has over 50,000 total subscribers. She was born and raised in Olsztyn, Poland. Other Polish bloggers who are also known for their cosmetic coverage include Paula Jagodzinska, Jessica Mercedes, and Huda Kattan.